Also refining the plans for today and this weekend. For today, work will start to remove the Grace off-ramp between King and Meeting Streets - with each individual column marked for removal or to stay. 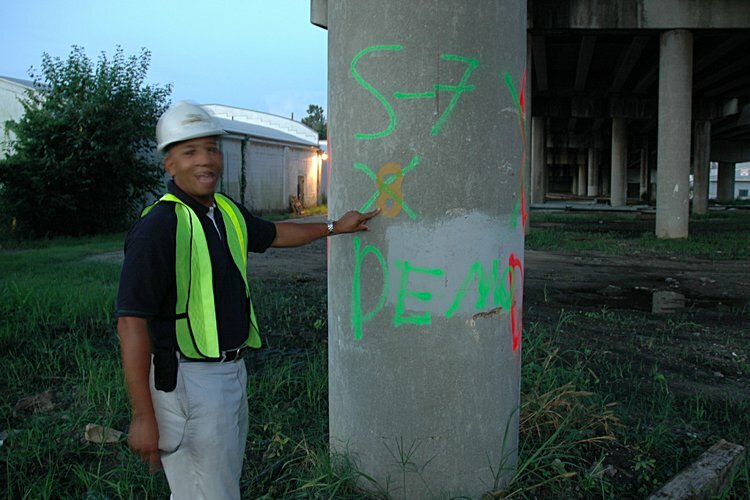 Ken Canty is the project engineer and my demolition professor. Here Ken is explaining to me the numbering and labeling of each column. 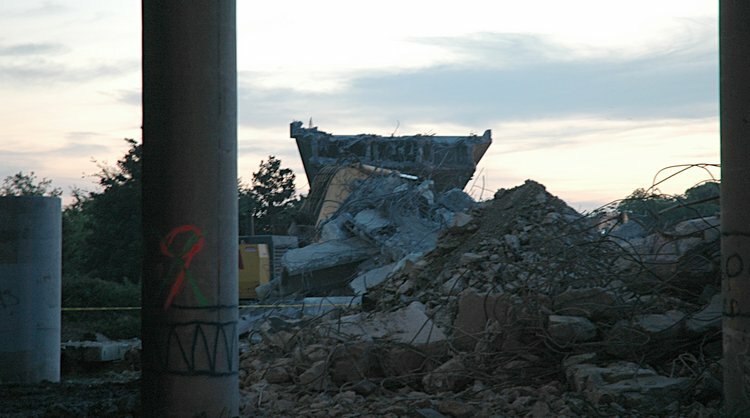 All these labels are necessary to preserve the demolition sequence. Here, this column (7, with zero as the first column vs the x'ed out 8, where one was used to indicate the first column) is scheduled for removal (green Demo painted section) (The blurring of Ken is a photo problem - since Cashman-Testa are early risers, there is little light available, and in this case, the 6:30 am light required a long exposure). 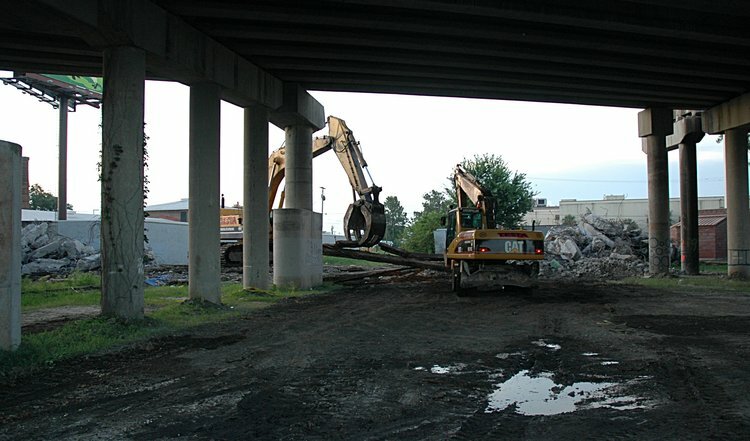 For this weekend, the Grace ramp that passes over the King Street off-ramp and the crosstown I-26 on-ramp will be removed. 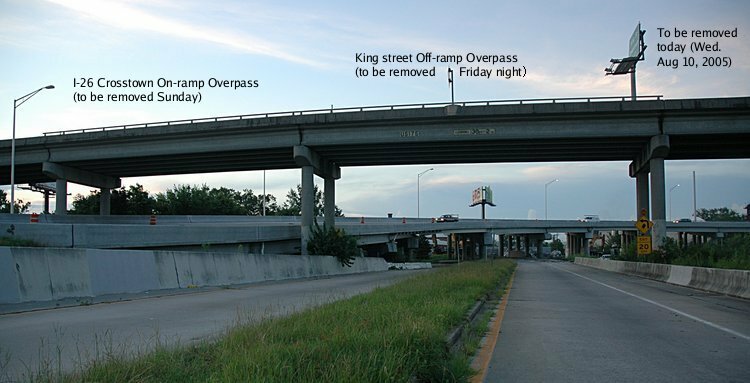 Friday the I-26 King Street off-ramp (Exit 221B) will be closed from 7:00 pm until 6:00 am Sunday August 14th so that the Pearman overpass can be removed. 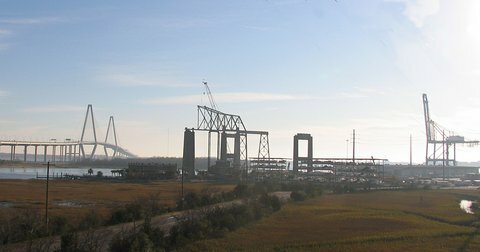 Following the re-opening of the Meeting street off-ramp on Sunday morning, the westbound I 26 on-ramp and the US 17 Northbound lanes will be closed at Coming Street. 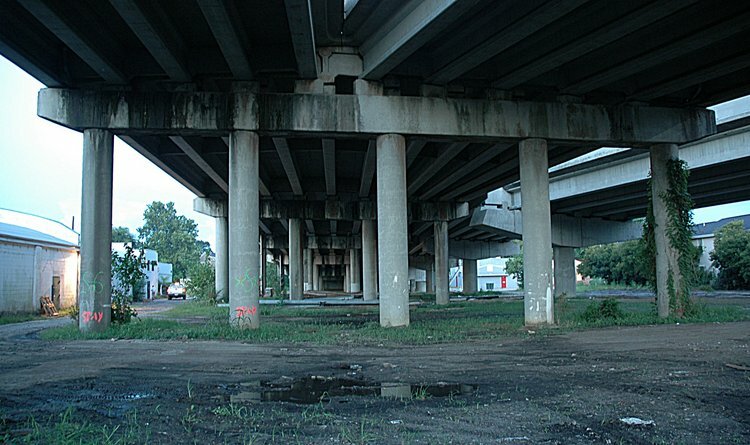 In addition, the the pavement for Exit 221B off-ramp will be removed, roadbed graded and lowered about a foot in order to increase the clearance between the King Street ramp and the I-26 overpass. Lots of action this weekend.